A large site lies empty on the corner of Dolphin’s Barn Street, derelict shops surround an overgrown wasteland. According to the deal between Dublin City Council – which sold the site – and the buyer Hollybrook Limited, housing there should be part-built by now. Work hasn’t even started. 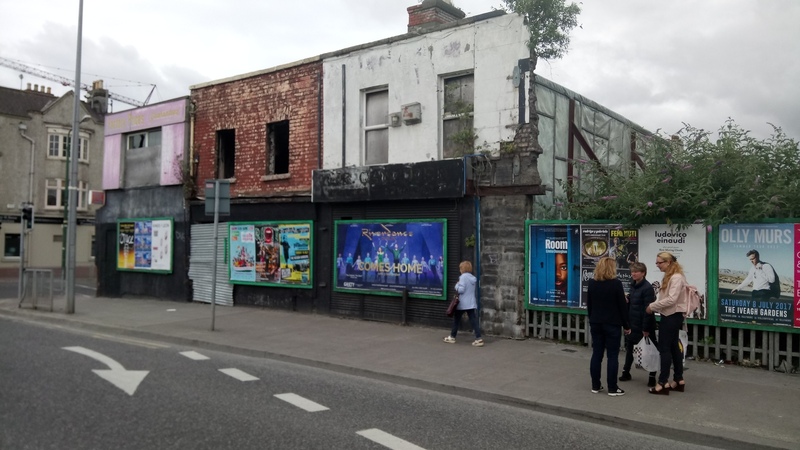 “To allow dereliction to happen is wrong, and we disposed of it under condition that it was to be built on straight away, no more eyesore,” said Sinn Féin Councillor Críona Ní Dhálaigh. 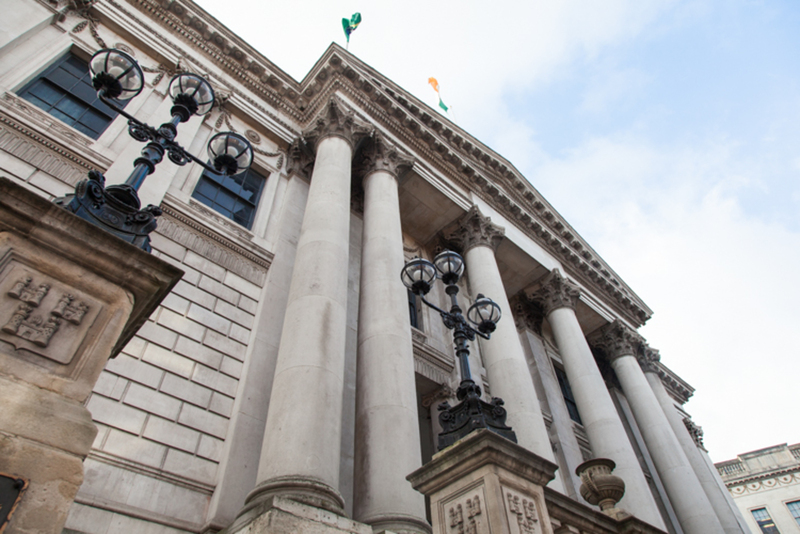 At monthly meetings, councillors usually vote through a list of what are known as “disposals” – selling bits and pieces of Dublin City Council land or properties. 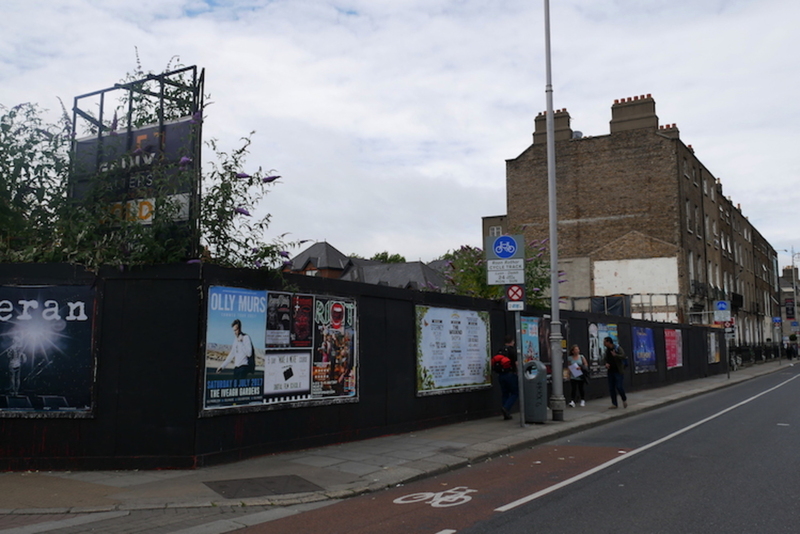 In March 2015, councillors voted to sell the site on Dolphin’s Barn Street that stretches from number 33 to number 37 for €405,000. But there were conditions attached to the disposal. The buyer had four months to get the planning application in. They filed the application in September 2015, although it is unclear when the contract was signed. On 30 May 2016, the council granted the planning permission for 12 residential units and two shops there. Another proviso, though, was that the developer had to get cracking on building work within four months of getting planning permission, and had 18 months to complete the task. Now 13 months on from the final grant of planning permission, nothing is happening. Hollybrook Limited didn’t respond to queries by email and through their estate agents about why there were delays to works on the site. 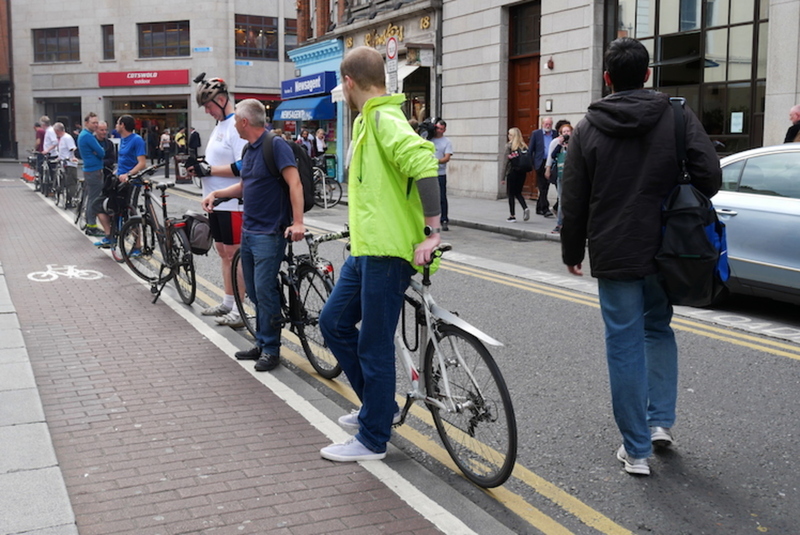 Dublin City Council Press Office didn’t respond to queries either. Locals in the Dolphin’s Barn neighbourhood say the large derelict site on the corner makes the whole area look bad. Other vacant sites in the neighbourhood should be purchased by the council, under compulsory purchase orders, she says – and perhaps let to local artists or others in the community. “It would give a talented person a leg up and bring footfall into the area too,” says Rooney. At other sites in the city too, strict conditions were placed on disposal agreements by councillors trying to ensure that building work start fast, but nothing seems to be happening. Councillors agreed to sell the old historical coach houses at the back of St Stephen’s Green in January 2016. The buyer, for €620,000, was Anville Properties Ltd, which set out plans to restore the coach houses and turn them into a restaurant. Simon O’Connor, the curator of the Little Museum of Dublin, said he is a bit worried about the coach houses. The buildings are at the back of the museum, which bid for them at the time. “The museum was very excited and keen to see the mews developed and for its structure to be maintained and improved as soon as possible,” says O’Connor. According to the disposal terms, the contract was supposed to be signed within one month of council approval, a planning application was to be submitted two months after the contracts were signed, and the building works were to start within three months of the planning application being granted. But there has been no movement on that site in the last year and a half. O’Connor wondered if the project was being held up by the Luas Cross City works nearby. On 3 July, a spokesperson for Dublin City Council said that the contracts had only been signed on 29 May 2017. “The purchaser has two months from that date to lodge a planning application for its intended use,” said the spokesperson. The press office didn’t respond to queries as to why it had taken so long to sign the contract. There were concerns about the structural integrity of the building deteriorating, and that is why the stipulations were to be placed on the developer that it had to be built on quickly, he says. “This was the only way to achieve its restoration and preservation and any delays have just undermined that aim,” he says. Costello said he wants to know if there are other such long delays that councillors should know about. It’s the same story as well at 52 and 52a Clanbrassil Street Lower. A sale was agreed by councillors in June 2016, with conditions that the buyer would lodge a planning application within four months of contracts being signed and that work should commence within four months of planning approval. But a year on, none of those conditions have kicked in yet, because the contracts have not yet been signed. 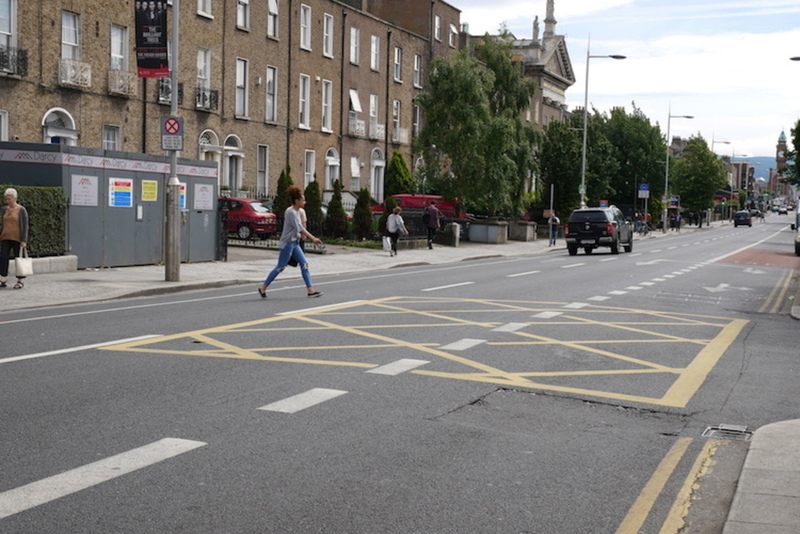 “In respect of 52 and 52A Clanbrassil Street it is expected that the contracts for sale will be signed in the coming weeks,” said the council spokesperson. Lorcan Sirr, housing lecturer at Dublin Institute of Technology, says that it does sometimes take an awfully long time to complete a sale. Sometimes the banks are to blame, for not storing deeds safely enough, and this can lead to problems. Sometimes the local authorities don’t have the deeds for the land they own, and may have issues with record keeping, he said. The council spokesperson did not respond a query on why it has taken so long to sign the contracts for the sale of the Clanbrassil Street property. Ignoring the Little Red Man: How Much Faster Is It to Jaywalk?